We hope your year will be filled with camping and recreation adventures in British Columbia’s supernatural provincial parks. Planning and preparing for your next trip is much easier by using this website or with a hard copy of Go Camping BC in your hands. With over 200 locations featured, on this website and in the printed guide provide comprehensive information to help you plan an unforgettable camping trip. The 5th annual Canadian RVing and Camping Week, a program developed by Go RVing Canada and the Canadian Camping and RV Council, returns this May 21st -25th, 2019 at select campgrounds across Canada! To celebrate the start of the 2019 Canadian camping Season, participating campgrounds across Canada will be offering discounted rates for reservations made between May 21st – May 25th, 2019.Canadian RVing and Camping Week offers the perfect opportunity to experience this great land while taking advantage of specials and discounts to Kick Off the 2019 Camping Season! Check with your favourite campground to see if they are participating! 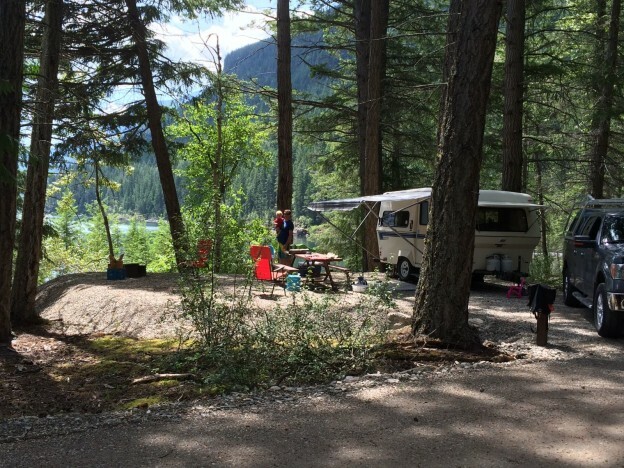 Whether you already have one foot out the door on your way to your first camping trip or are just starting to dig up your camping gear, take advantage of our resources and check out our advertisers on this website or in the printed Go Camping BC guide. Guides are available at Visitor Centres and BC Provincial Parks throughout the province. Go Camping BC aims at providing you with a wide variety of BC Parks camping locations and fun activities to fill your camping days with. Plan ahead, be adventurous, and happy camping! !